Zorah Oppenheimer joined Clark Conserva­tion District in January as a Resource Technician. She is working on literature de­velopment, website con­tent, and anything else that needs doing. Zorah graduated from Washington State University with a Bachelor of Science in Natural Resource Sciences and a Studio Fine Art minor. 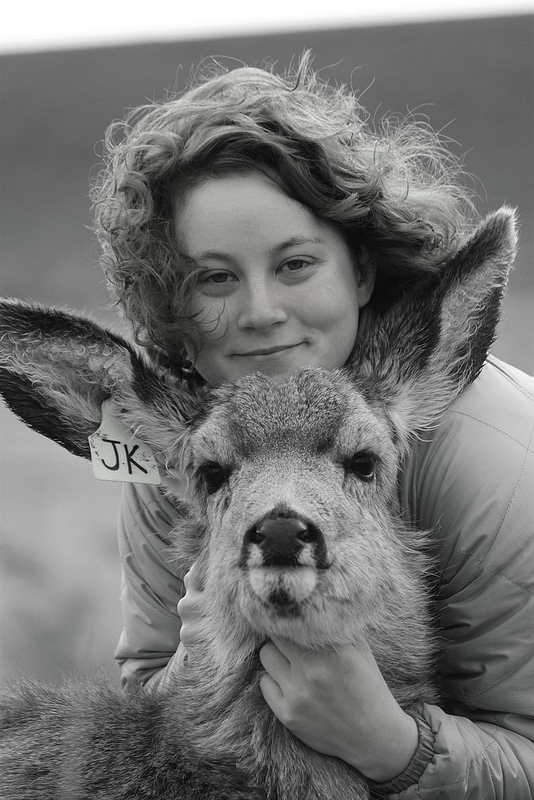 At WSU, Zorah gained experience work­ing with captive mule and black-tailed deer and pygmy rabbits. She loves animals of all kinds and enjoys crafting, photography, and nesting with her family when she isn’t working. If you have any questions or suggestions for Zorah, contact her at zoppenheimer@clarkcd.org or (360) 883-1987 ext. 118. What Kind of Poo Is Right for You? How do I choose (fresh, aged, contents)? If you need mulch for landscaping, a manure pile with mostly bedding is a good choice. For improving garden soil, a material with little or no bedding is usually better. Horses are less efficient at digestion than cows are. Consequently, horse manure may contain viable weed seeds in it, while cow manure will not. It is important to hot compost horse manure before spreading it. Calculate volume needed (depth x area) then convert to cubic yards (27 cubic feet in one cubic yard). Plan for the number of truck loads required for target volume. What is the difference between “Fresh” and Aged”? Aged material may be closer to ‘finished compost’ than newer material though it may take a little green material to get your compost pile cooking. Fresh material may begin to compost more quickly but it may have an “aroma” until it cooks a bit. Is it safe for my garden? Fresh manure in the garden carries a small risk that pathogens which cause disease may contaminate garden vegetables. To prevent illness use only composted/aged manure on food gardens. Do not use cat, dog, or pig manure in gardens or compost piles. A narrow vegetated strip of native trees, shrubs, grasses or ground-covers. Designed to buffer adjacent land uses and benefit native wildlife. Should be a minimum of 5’ to 10’ wide. The longer the better. A hedgerow can make a livestock-proof barrier, provide shelter, enhance the landscape and benefit wildlife. Creating hedgerows that link with existing hedgerows or other habitats such as a forest or waterway are ideal. Historically, hedgerows were planted and maintained in Europe to define field boundaries, and to enclose or exclude animals. In the US, hedgerows date back to the Homestead Act and to the dust bowl days of the 1930s. Hedgerows in the Midwest were planted primarily for windbreaks. 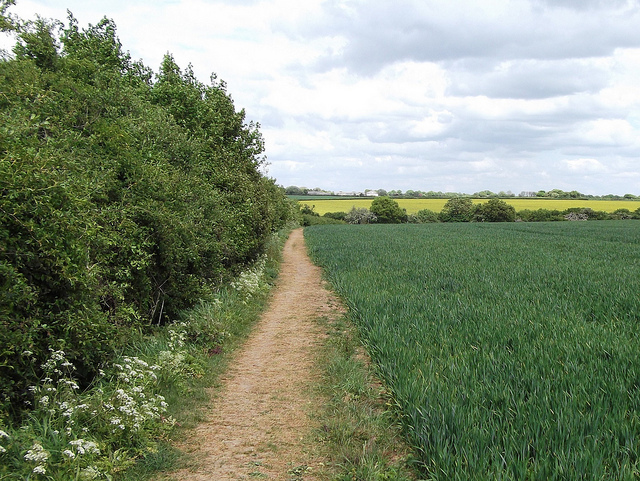 In the west, hedgerows are used to enhance crop production. Hedgerows are also planted as a refuge for pollinators, birds, and small mammals. Hedgerows can be planted along the borders of streams, in field edges, the banks of drainage ditches, and at road edges. Many beneficial insects, birds, and small critters are found in hedgerows. They help pollinate over 75% of flowering plants and nearly 75% of crops. Native plants in hedgerows serve as sources of food for pollinators and bird and provide habitat for nesting and larvae production. Hedgerows provide shelter and winter protection for many pollinators. Many others: call, email, or come in for a complete list. Plant a spread of early, mid, and late season blooming plants to provide a consistent food source. Mixing in native flowering perennials will add color and promote late season pollination. While it’s too late to pre-order native plants, we will have some extras available for purchase at the sale. In addition, we will have a few plants not offered for pre-order including Thimbleberry, Indian Plum, and Coastal Redwood, among others. We will also have a limited supply of posters available for sale. 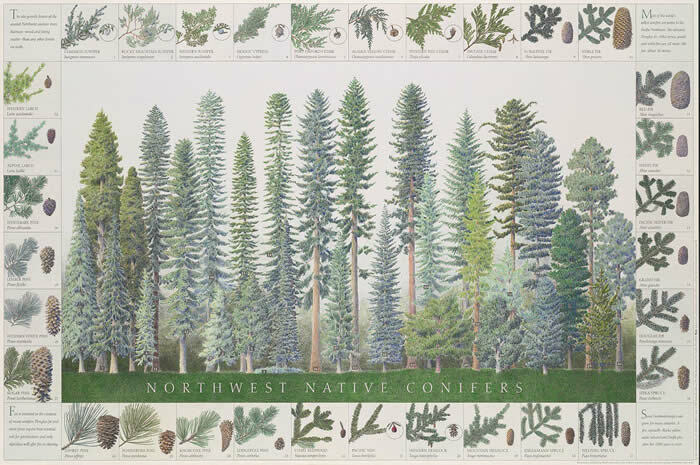 Northwest Hedgerows, Northwest Native Conifers, and Northwest Woodland Wildflowers. They will sell for $8.00 each (tax included). Cash or check only please. This is a yearly event, so keep us in mind for your native planting needs next year! Email staff@clarkcd.org to be put on the plant sale reminder list. P.S. Cash or check only. This year at the Home and Garden Fair, we will have our rentable manure spreader on display. Need compost for your garden? Have extra manure lying around? Sign up for our Manure Exchange List. Come learn about landscaping with native plants, urban livestock management, and the resources available to you as a land or homeowner. We will have a kid’s activity to entertain the little ones! The Home and Garden Idea Fair is held at the Clark County Event Center and is put on by Clark Public Utilities. The fair will be held the weekend of April 25, 26, and 27th, 2014. Admission to the fair is free, and parking is $6. There is a free shuttle bus to the fairgrounds; see Clark Public Utilities website for more information. Canned food or monetary donations are encouraged. Canned food will be distributed to local food banks and cash donations will go to Operation Warm Heart. Every year, Clark CD and Center for Agriculture, Sci­ence, and Environmental Education (C.A.S.E.E.) (with whom we share a campus) host the Southwest Wash­ington Regional Enviro­thon here in Brush Prairie. On April 16th, high school students from Southwest Washington gather and compete in teams at the re­gional level. Teams test their knowledge through both classroom and field-based curriculum in areas including aquatics, soils, forestry, fish & wild­life, and a current environ­mental issue/topic, which changes annually. This year the theme and current issue is Sustainable and Locally Grown Agriculture. The winning team goes on to the state competition to be held in May 2014 in King County. The state win­ner then goes to nationals where they’re eligible for scholarships if they place as the top team. The 2014 national competition will be held in Atlanta, Georgia in July. Clark Conservation District wishes all the teams the best luck. If you know a teen who may be interested in participating, contact us or their high school science teacher. Rent One Of Our Two Manure Spreaders For Free! Clark Conservation District has two manure spreaders available to loan to Clark County residents (44 and 56 cubic feet). The spreaders come on their own trailer with an electric winch. The smaller spreader (44 cubic feet) is suitable for use behind a 14 HP or larger garden tractor or any vehi­cle weighing 1000 pounds or more (such as a truck). The larger spreader (56 cubic feet) is suitable for use behind an 18 HP or larger garden tractor or any vehicle weighing 1200 pounds or more. Clark Conservation District created a Manure Exchange List that we give out to interested parties. If you are in need of manure for your gar­den or if you have animals and have excess manure, let us know! If you are looking for manure, ask us and we’ll send you the list. If you have excess manure, we’ll ask you a few questions and add you to the list. If anyone is looking for what you have, they will contact you. Washington State’s 45 conservation districts make up a grass roots conservation delivery system that identifies local problems and offers voluntarily solutions to cooperators. Cooperators are farm operators and landowners who sign up for a conservation district’s services. Conservation districts provide an important connection between cooperators and government agencies in order to promote and implement technical and financial assistance programs to conserve natural resources. • Implement farm conservation practices to keep soil in the fields and out of waterways. • Conserve and restore wetlands, which purify water and provide habitat for birds, fish and numerous other animals. • Plant trees and other land cover to hold soil in place, clean the air, provide cover for wildlife and beautify neighborhoods. • Help developers and homeowners manage the land in an environmentally sensitive manner. • Reach out to communities and schools to teach the value of natural resources and encourage conservation efforts. View across the street from our building.